Our contributors, Mary and Brenda Maher of Cakegirls, are back with a new DIY today! Join along as they share a new cake project with a straightforward step-by-step tutorial. 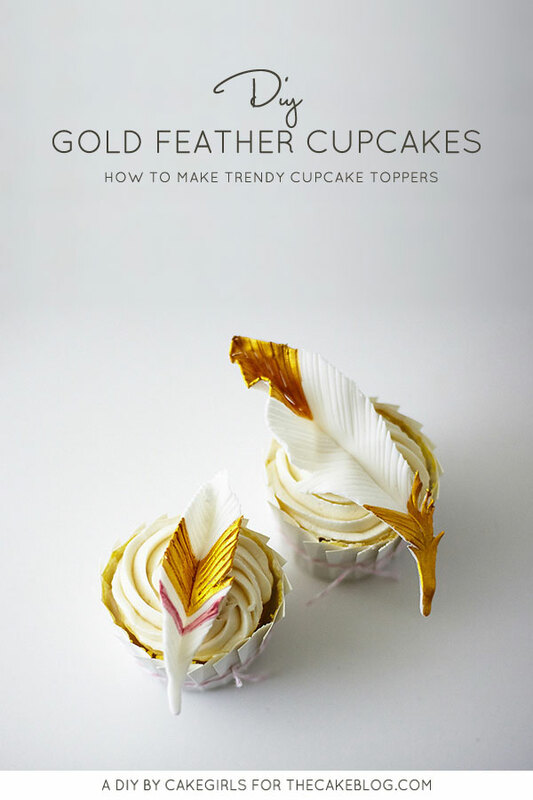 It was only natural that at some point, feathers should end up on cupcakes. They’re so irresistibly beautiful and so, so trendy right now. 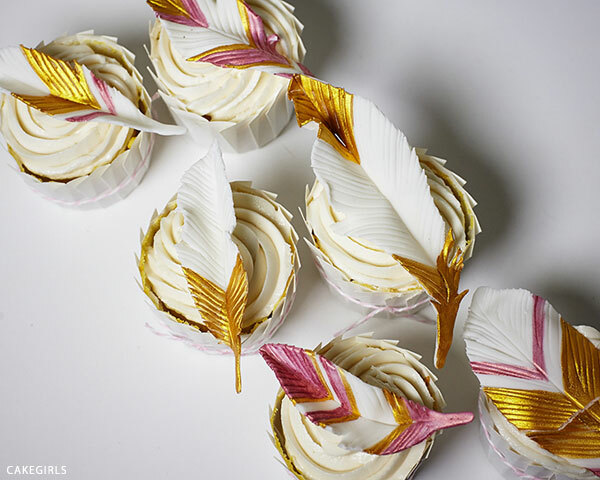 They’re also very ripe for artistic interpretation and that’s how we ended up with gold and coral tipped feathers as a modern topper for a simple textured cupcake. 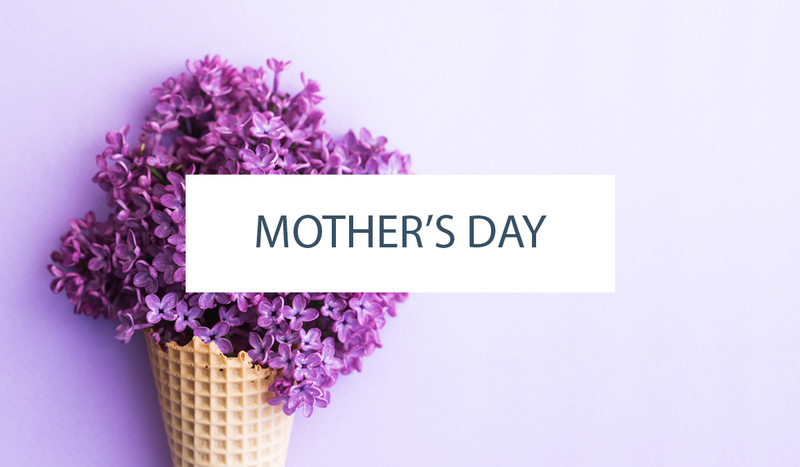 Even more appealing is that these are not difficult to make and leave lots of room to “not be perfect” (and that’s our kind of cake decorating!). First rolled and cut from fondant and then flared by hand for a personal touch, these elegant cupcakes would be perfect for a bridal shower dessert table or even as an ending to a fall feast. 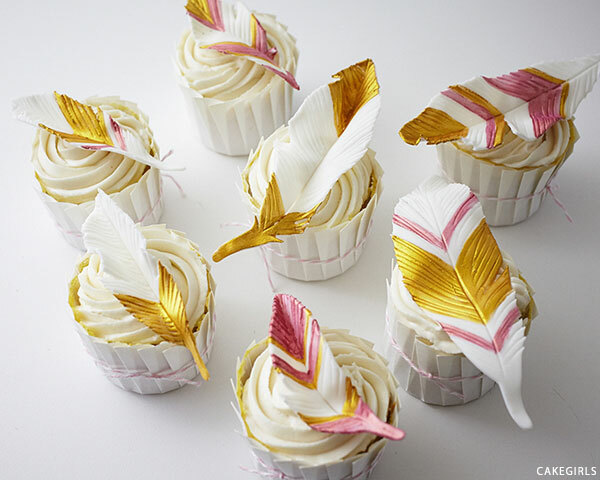 And, we guarantee these sugary sweet feathers do not disappoint. On a surface covered lightly with powdered sugar, roll out the white fondant. It should be on the thin side, about 1/8″ thick (this will make sure that the feathers are not too heavy for the top of the cupcakes). 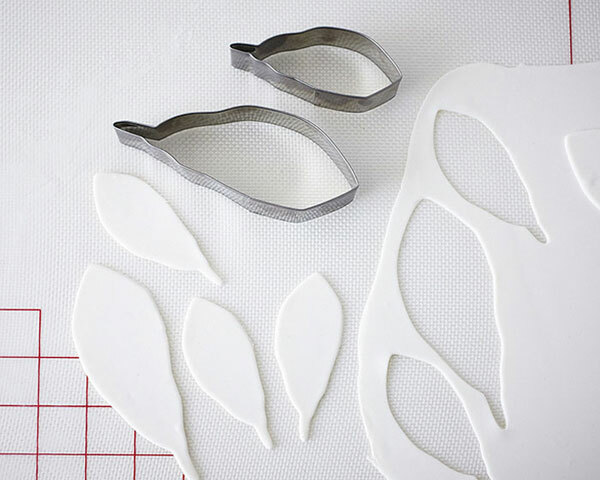 Cut out feather shapes using the small and medium cutter. Make a few extras for breakage. 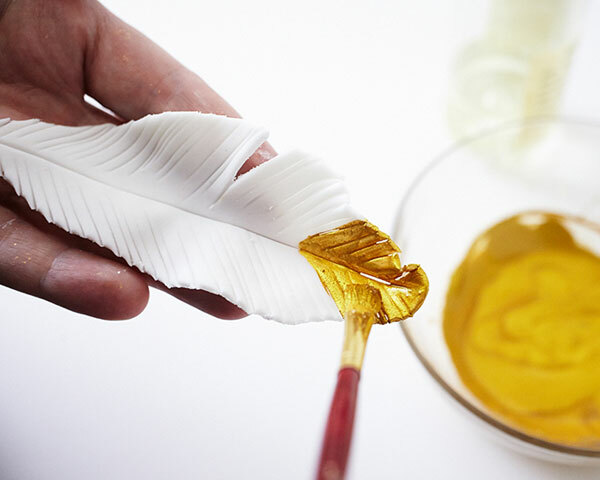 Next, use the veining tool to create an indentation down the center of the feather. Do this gently so that you only make an impression and don’t cut the feather in half. Next, striate both sides of the feather in an upward motion, as gently as possible. (Don’t worry about making this lines perfect. The feather will look more realistic if they are irregular). 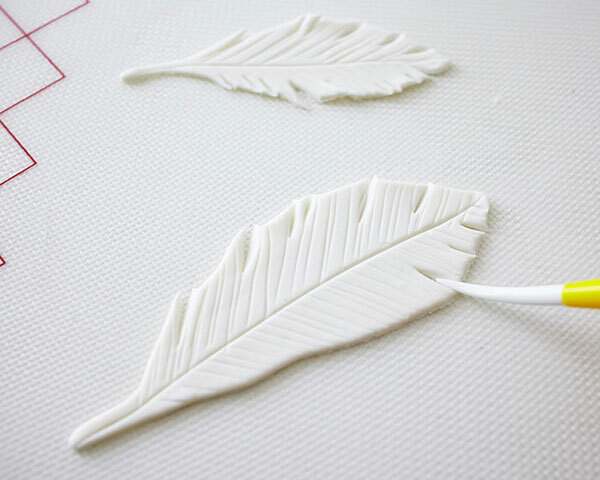 On the outside edge of each feather, press the veining tool a little deeper and cut through the fondant in a few spots. Then, use your finger to separate the fondant a tiny bit to make it look more natural. 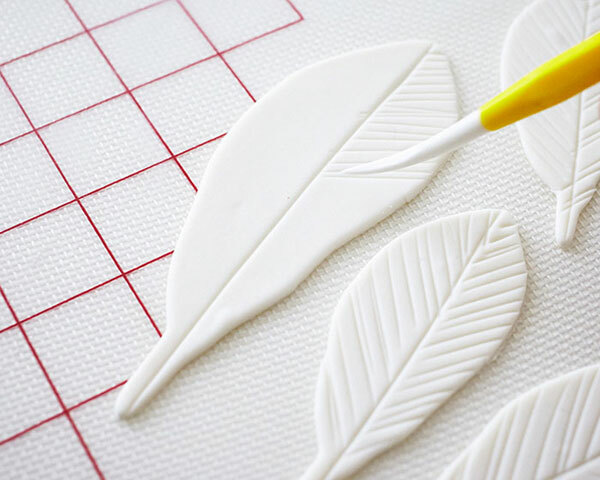 Place the feathers on a tray covered with bubble wrap or crumpled tissue or wads of plastic wrap…essentially anything that will help the fondant feathers dry with a natural curved shape. Make sure that you cover the surface that you are drying the fondant on with a layer of powdered sugar to avoid any sticking. Let them dry overnight or longer until firm. 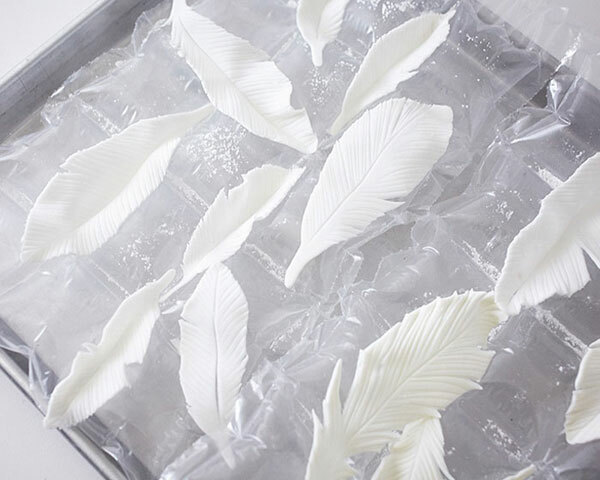 Then, remove the bubble wrap and gently flip the feathers and leave them on the tray to dry for another day or two until completely dry and not at all flexible. 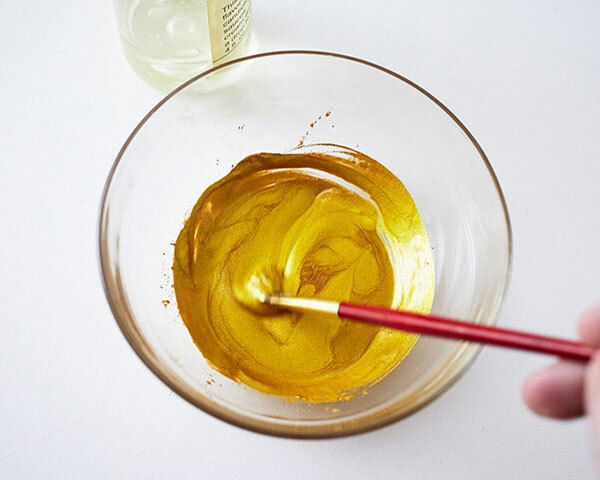 In a small mixing bowl, place 1/2 of a 2g container of gold luster dust and add 1/2 tsp. of clear extract or clear alcohol. Mix together until there are no lumps. The consistency should be like heavy cream and not watery. Add a few droplets of extract if too dry or a bit of powder if too wet. Do the same in a separate bowl with the coral luster dust. 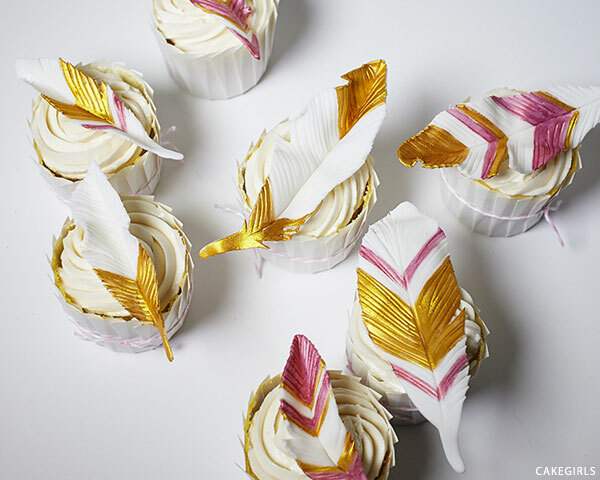 Place the feathers on piped cupcakes just before serving. 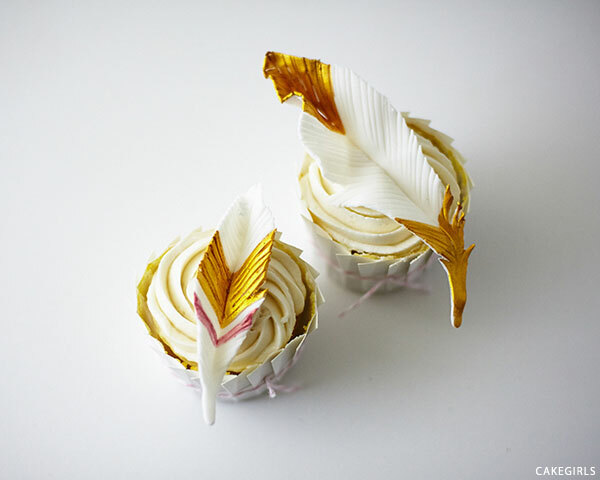 NOTE: Do not refrigerate the fondant feathers because they may go a little limp if the fridge is too damp. 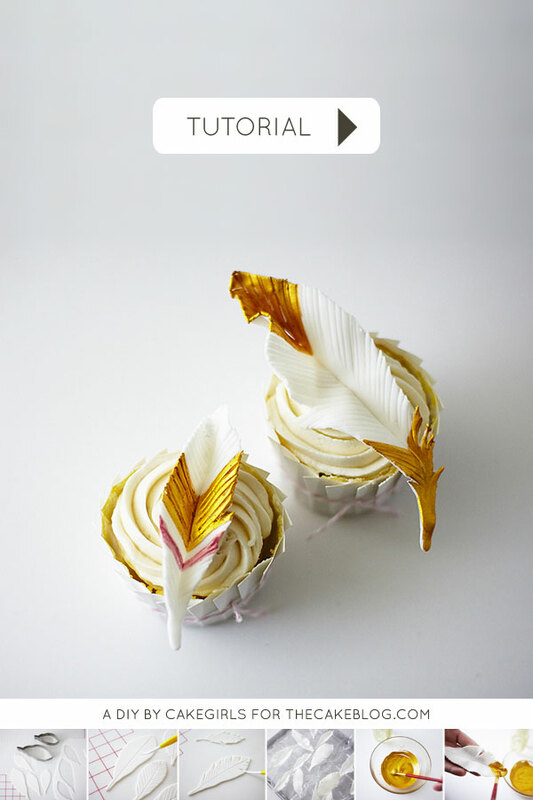 thank you so much given idea of cup cake….looking good..
Precioso me encanto tú tutorial, gracias. Its very pretty feather .Its good to see your tutorial. Thank you so much. The description of the luster dust says it is not edible… is there something else that can be used that is edible? 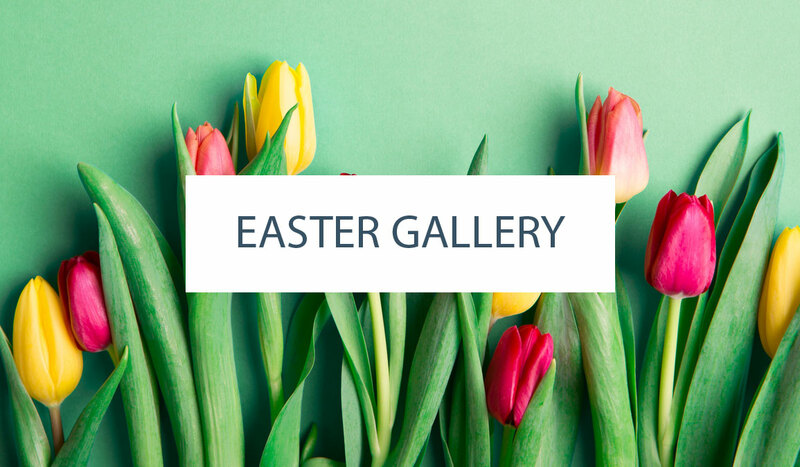 Or would an edible type not be as pretty?